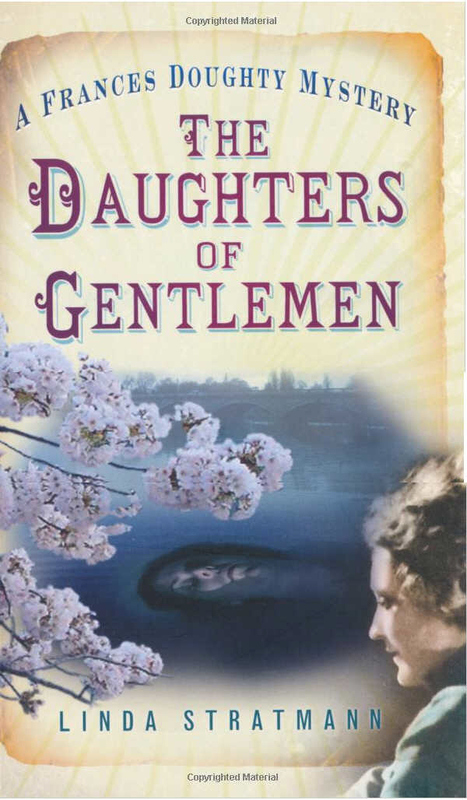 This novel is the second Victorian mystery by Linda Stratmann featuring Miss Frances Doughty, a nineteen-year-old gentlewoman with no pretensions of beauty, of no family and limited means, who after the success of one murder mystery finds herself employed to investigate an incident of ‘malicious publication’ at an exclusive girls’ school in Bayswater. Frances has to leave the pharmacy that was the scene of her first crime-solving exploit, and with her maid and friend Sarah, finds a lovely apartment for them in Westbourne Grove she falls in love with and then worries about how to pay the rent. Sarah, who at her own instigation is elevated to companion and apprentice detective, and with a mixed bag of slightly dubious but kindly informants who prove colourful light relief to the plot, they set about discovering who and why someone would want to upset the status quo in the established middle class world. A disappointed bride? A strategy to instil scandal for a political appointee whose daughters attend the school? Or simply a malicious prank? At first Frances’ inquiries into who placed disturbing pamphlets into the desks of twelve schoolgirls takes her nowhere- until someone who worked at the school is found dead in the Serpentine in Hyde Park. The narrative is beautifully written, in a flowing, easy style with some pithy observations about the people Frances is sent to question. Frances herself is very aware that as a young, unmarried woman she will have to handle prejudice and bigotry, as well as employ considerable charm and persuasion to get people to reveal the more intimate and important facts she will need to solve discover the culprit. The plot is very complicated, with many twists turns and a blind alley or two, but the writer's style is so eloquent and polished I was glued throughout. Frances Doughty reminds me of a Victorian, and much younger Miss Marple, with her exemplary people skills and refusal to accept insults from ‘males who think they know better’. I loved the way she handles those who consider themselves superior, with firmness and polite insistence to get them to answer her questions – so to refuse makes them seem churlish and impolite. Frances' inquiries bring her into contact with the fledgling Women’s Suffragette Movement and she finds she has to walk a tightrope between their militant views, the revelation that they might well have something to offer her as an independent woman, and yet keeping on side with the rigid views of her clients who regard marriage as the ultimate, and only aim for any female. Frances’ epiphany that she would like to vote and take responsibility for her own life signals a change in her attitude to herself and her abilities. Her character growth is wonderfully handled, beginning with initial doubts that she can support herself as a detective at all when her case appears stalls, to her growing self assurance when clients start to appear. This story has given me an incentive to read the first book, ‘The Poisonous Seed’ as I can see further changes in Frances still to come, and I will eagerly await the next one.